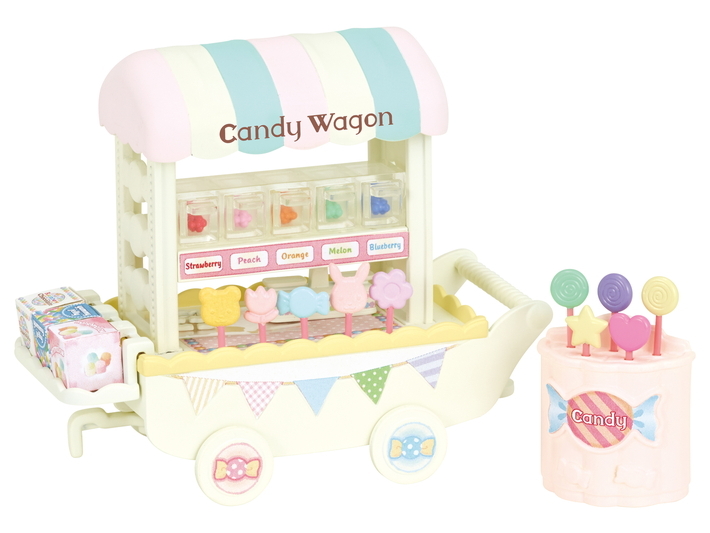 Candy Wagon comes with lots of colourful candy and drawers. 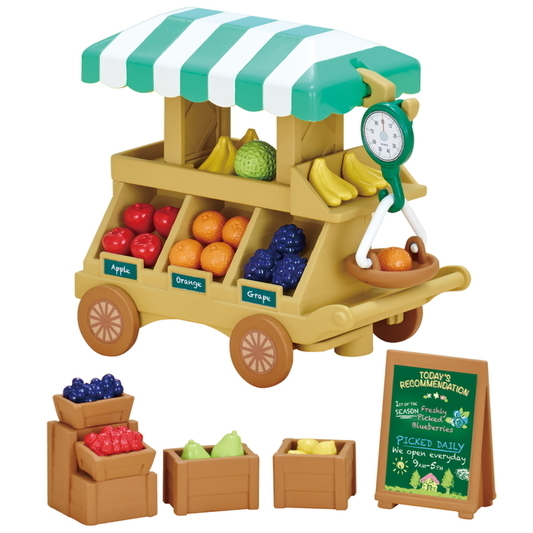 The movable shelf can be attached to the edge of the wagon or stored inside it. 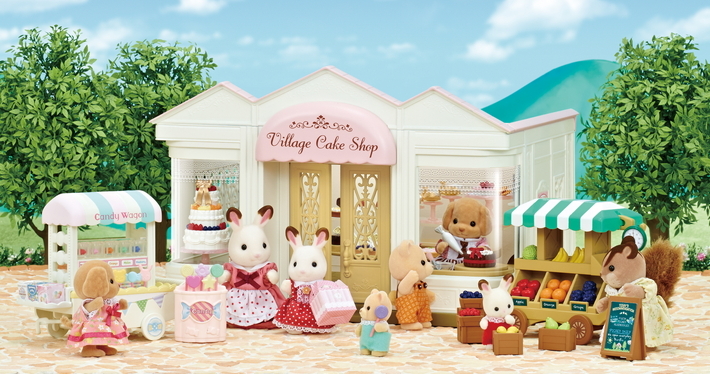 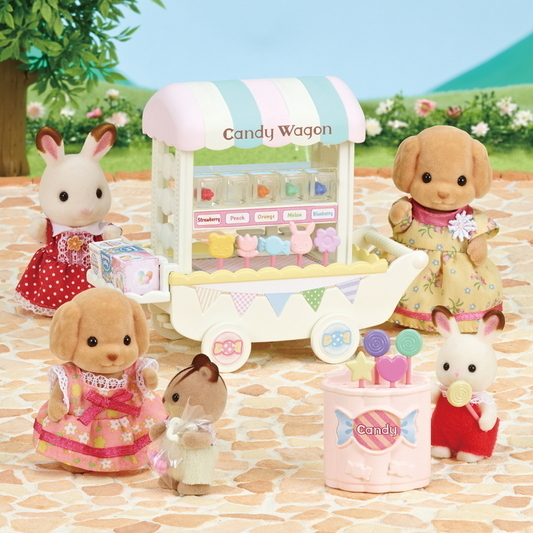 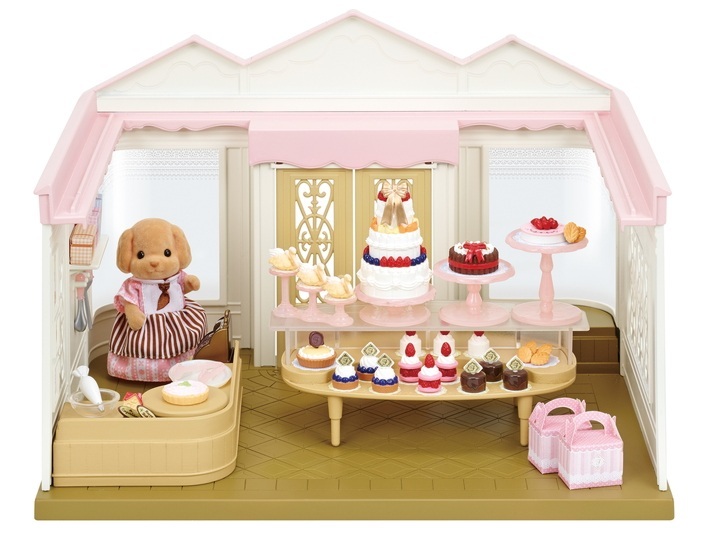 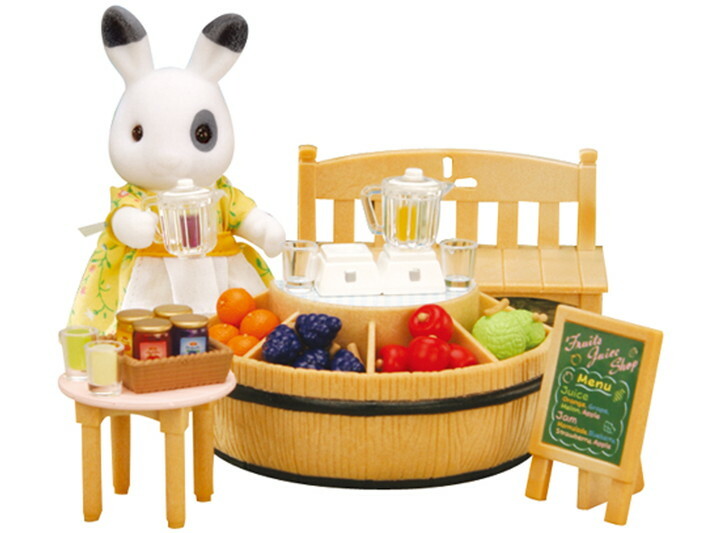 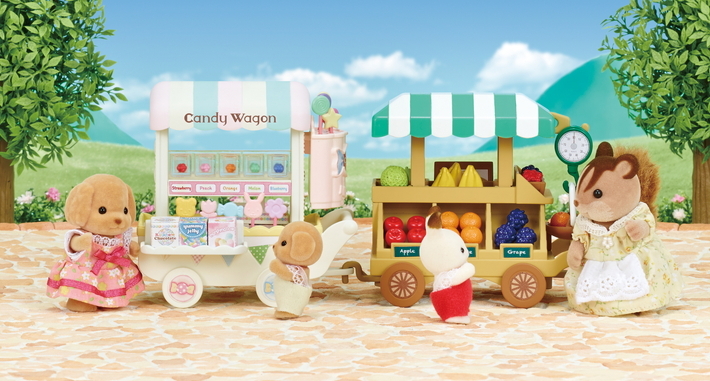 The candy stand can also be attached to the poles of the wagon. 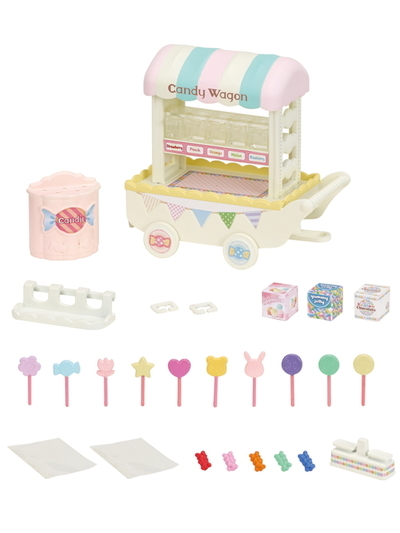 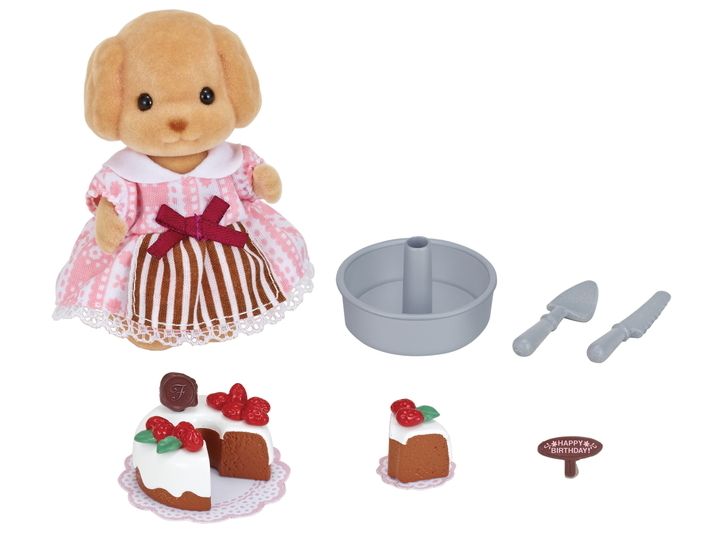 The candy in the drawers can be put in the included bags, which can then be fastened with a tie tag. 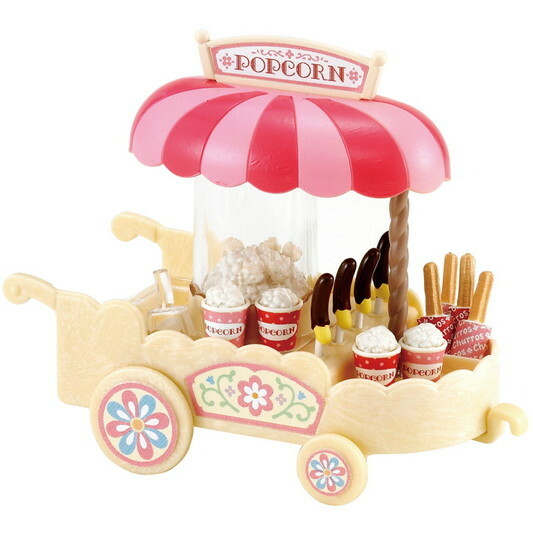 Candy wagon can be connected to other products such as Fruit Wagon, Hot Dog Van and Popcorn Wagon (all sold separately) for even more fun.